We may champion the protection of members of the LGBTQ community who demonstrate in support of their equal rights, or for women who march against political and societal misogyny, but do we feel the same when employees wave the Nazi flag during weekend demonstrations? What happens if a California employee, like Cole White, on his own time and outside of work hours, marches at a rally organized by white nationalists and neo­-Nazis, and his employer — in this case Top Dog, a hot dog restaurant known for posting libertarian articles and stickers in Berkeley, California — finds out? What if White had simply posted his support for white nationalists and neo-Nazis on social media? What are his rights in California? Could Top Dog fire him? If so, what happens? 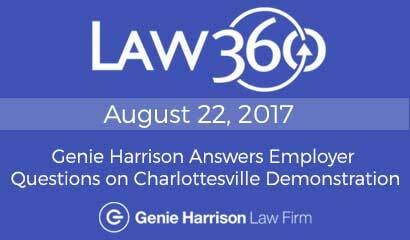 Protections against retaliation for engaging in free speech and lawful assembly generally apply to governmental entity employers. Could White complain that Top Dog violated his federal constitutional rights to free speech and lawful assembly if it fired him for attending a nonviolent white nationalist rally? No, because Top Dog is a private company, not a governmental entity. But the story doesn’t end there if, as in this case, Top Dog is a California employer and White is a California employee. California is one of only a few states that protect nongovernmental entity employees against retaliation for engaging in political activity and lawful activity outside the workplace (CA Labor Code §§96(k) & 1101.). California law even prohibits employers from making, adopting or enforcing any rule, regulation or policy that forbids or controls, or tends to control, employees’ political activities. CA Labor Code §1101. This is incredibly broad language and, taken together, these laws mean that private employers have to pay attention, and make practical business decisions. 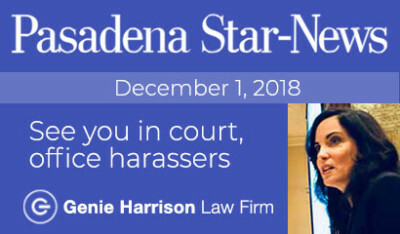 As we have seen, private California employers unquestionably may face claims for wrongful termination if they take action against employees in violation of public policies like those codified in Labor Code Sections 96(k) or 1101  But, businesses make business decisions every day about employees, and addressing employees’ political and off­-work lawful actions is no different. It may be that a private California employer chooses to support or ignore political and/or off­-work lawful acts by employees with which it agrees, but opts to bear the potential cost of firing employees for attending white nationalist rallies. In the case of White, Top Dog was apparently able to secure his voluntary resignation, perhaps with a severance and release of claims. Clearly though, Top Dog wants nothing to do with white nationalists or neo-­Nazis. However, what if, as often happens, an employee simply posts something on social media that an employer finds objectionable? Employees and those who sue their former employers face the same kind of scrutiny and serious consequences for their own voluntary social media expressions. If potential employers see an employee posting things that they wouldn’t want said to a fellow employee or a customer or client, that resume might go to the bottom of the pile. If current employers see an inappropriate post, the employee may find himself without a job. And if that employee posts about getting fired, or about being happy, mad, sad, etc., his posts will be used against him by savvy defense attorneys in any case against the former employer. As an attorney specializing in employment law, I’ve often seen employers use social media posts, text messages and tweets as excuses to fire employees, or to refuse to pay full compensation to a wrongfully terminated employee. 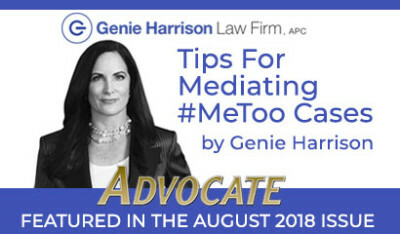 Attorneys can work around the employees’ expectation of privacy, at least as to their own social media, by applying the California Court of Appeal decision in Moreno v. Hanford Sentinel Inc. (2009) 172 Cal.App.4th 1125. The court found that by posting on Myspace.com, the material on the plaintiff’s profile was provided “to the public at large. Her potential audience was vast.” The court reasoned that Myspace.com is “a hugely popular Internet site,” and that “no reasonable person would have had an expectation of privacy” regarding postings on the site. Despite whatever privacy settings an employee may have in place, social networking sites are not private, because profiles are available for so many to see. Social media has created novel problems for both employees and employers when it comes to expressing personal views. Information moves across different social media platforms fast and the digital trail left in its wake has changed the game. Posts can quickly go viral, being shared by users, bloggers and news outlets on multiple platforms hundreds or thousands of times in just hours. Think about the blog post by Susan J. Fowler about the sexual harassment to which she was allegedly subjected at Uber. That post went viral, caused investigations to be launched, including by former U.S. Attorney General Eric Holder, and is forcing company-wide systemic changes in practices as well as the departure of CEO Travis Kalanick. Those are the consequences to Uber from Fowler’s blog post. On the other hand, if Fowler had sued, Uber’s defense attorneys could have poured over every word she posted and found ways to use them against her. Those attorneys would have scoured every picture she posted and every thought she expressed, to use as swords against her and shields to protect Uber from having to pay full compensation for the harm that it caused her (under this hypothetical). So even if a post doesn’t go viral, it can be a virus that an attorney can use in a wrongful termination case. It is beyond important to understand the full potential impact of your actions online before posting on social media. Let me give some additional concrete examples. If an employee throws a pool party in Vegas to celebrate no longer working for the jerk boss who fired her for complaining about sexual harassment, the defense lawyer will use those Vegas party pictures in her wrongful termination case to argue that the employee was not upset about being fired. If a fired employee starts a “GoFundMe” campaign to raise money to pay his bills, a defense lawyer may argue that the employee was hurting for money and needed a quick buck, which is why the worker is only now, after he was fired, claiming that he was harassed or discriminated against. A savvy defense attorney can also use that seemingly innocent “having the time of my life” Facebook photo post to try to discredit an employee — especially if, say, the employee called in sick that day or was on disability leave. Everyone — from high school grads to the president of the United States — who uses social media is making statements and admissions that can and will be used against them. And yes, “everyone” does include you. My advice to employees: Practice safe social media. All it takes is a moment of anger, inebriation or poor judgment to instantly undo years of professional reputation­building, or do real harm to your case. Before you post to social media, think more than twice about the possible consequences. If it’s not something you’d want your future boss, a judge or a jury to read, put down the smartphone and keep it to yourself. 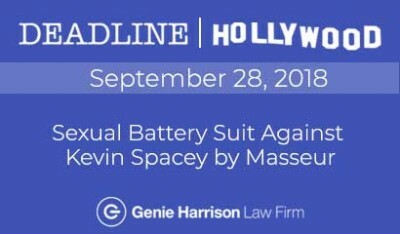 Genie Harrison is lead trial attorney at the Genie Harrison Law Firm in Los Angeles. Labor Code Section 96(k) and, in conjunction, Labor Code Section 98.6 allow the California Labor Commissioner to assert claims on behalf of employees for actions taken against them for lawful conduct outside of work hours and the employer’s place of business. Employees may also enforce Labor Code Section 96(k) through California’s Private Attorneys General Act, Labor Code Sections 2698, et seq.